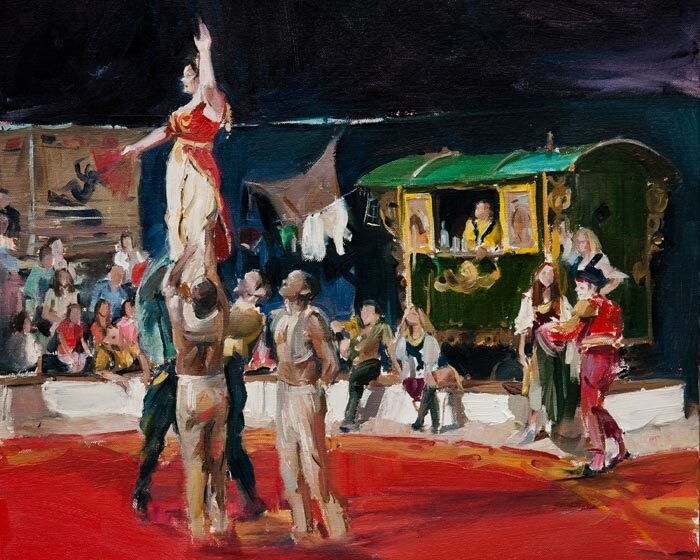 In October 2013 Tom Hoar exhibited an acclaimed new collection inspired by the Circus. 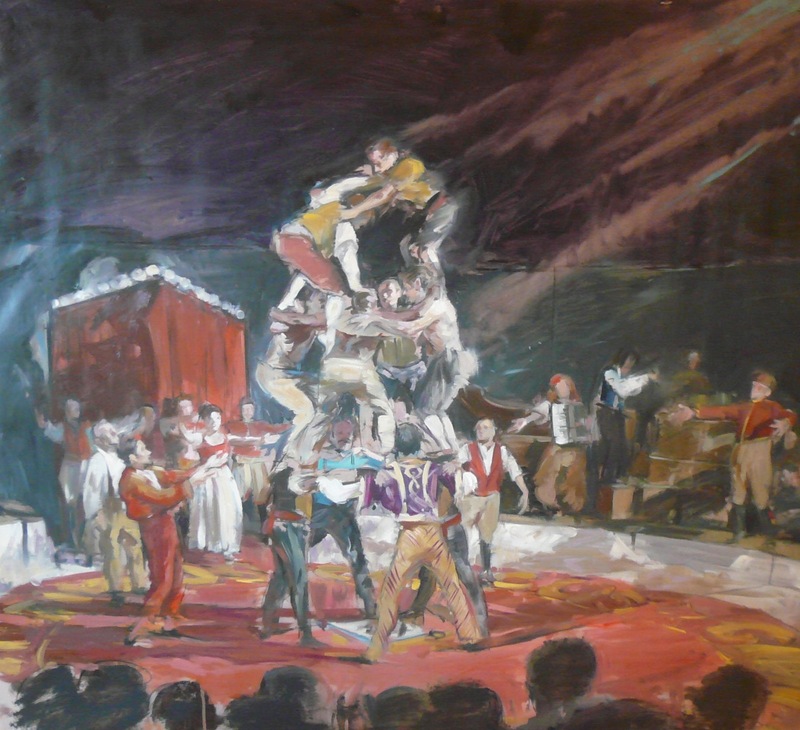 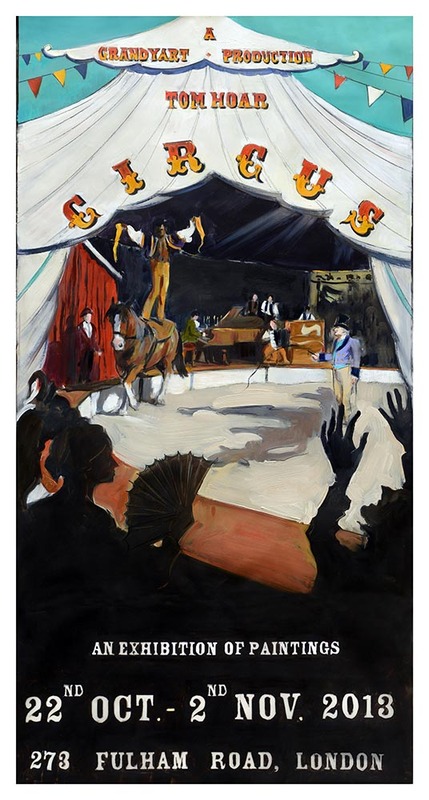 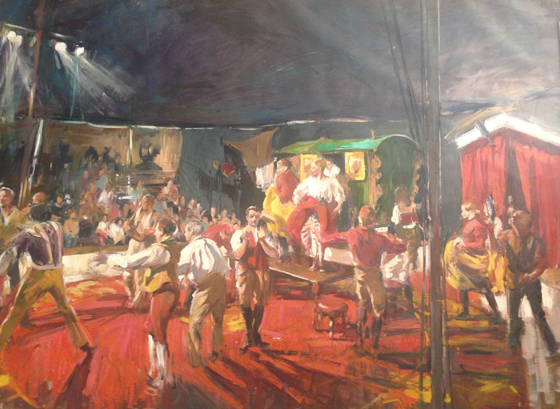 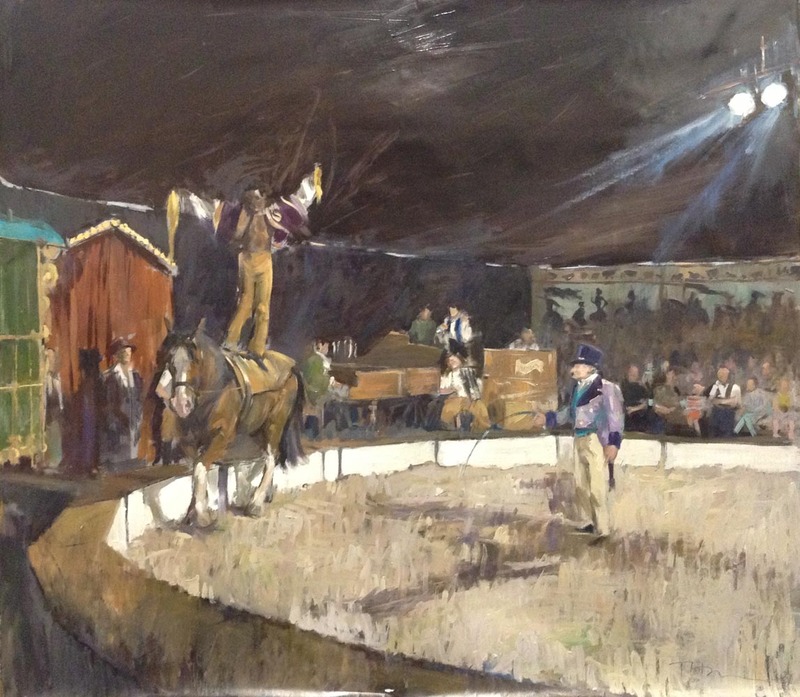 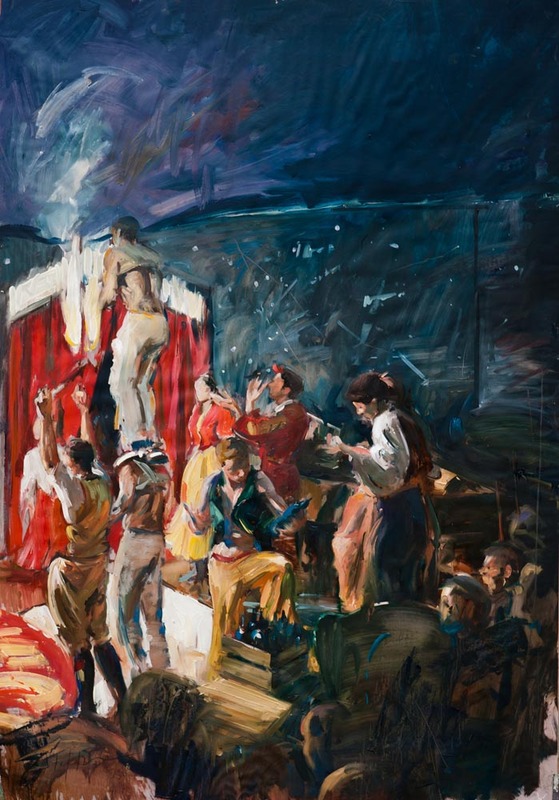 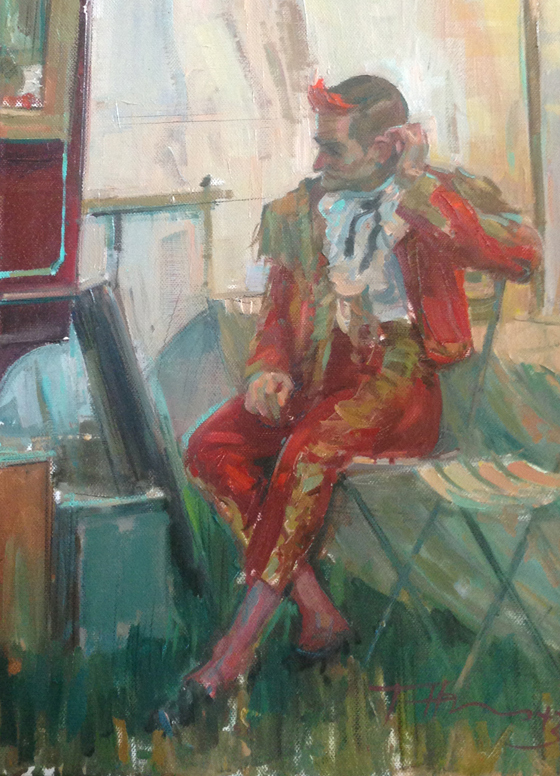 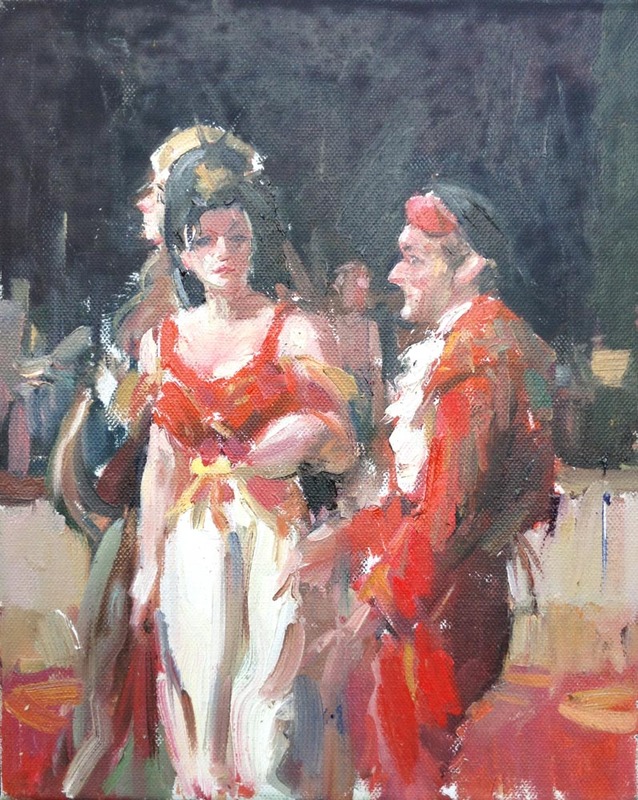 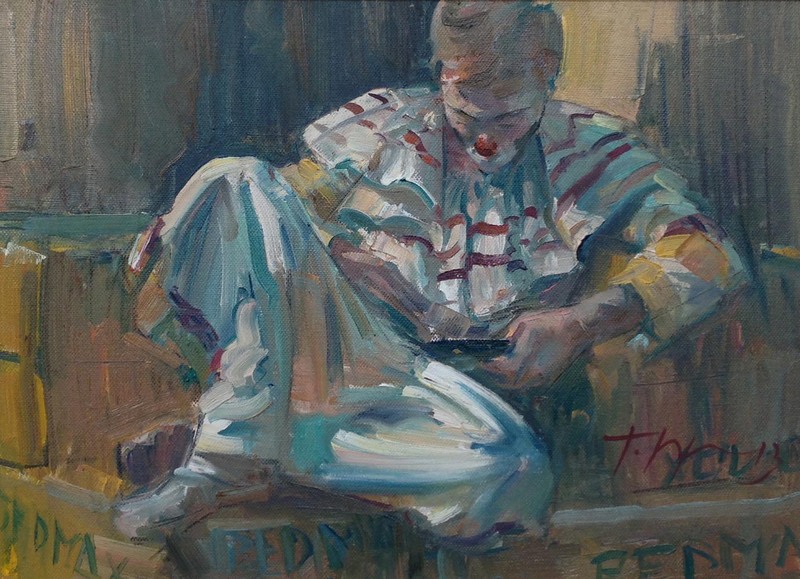 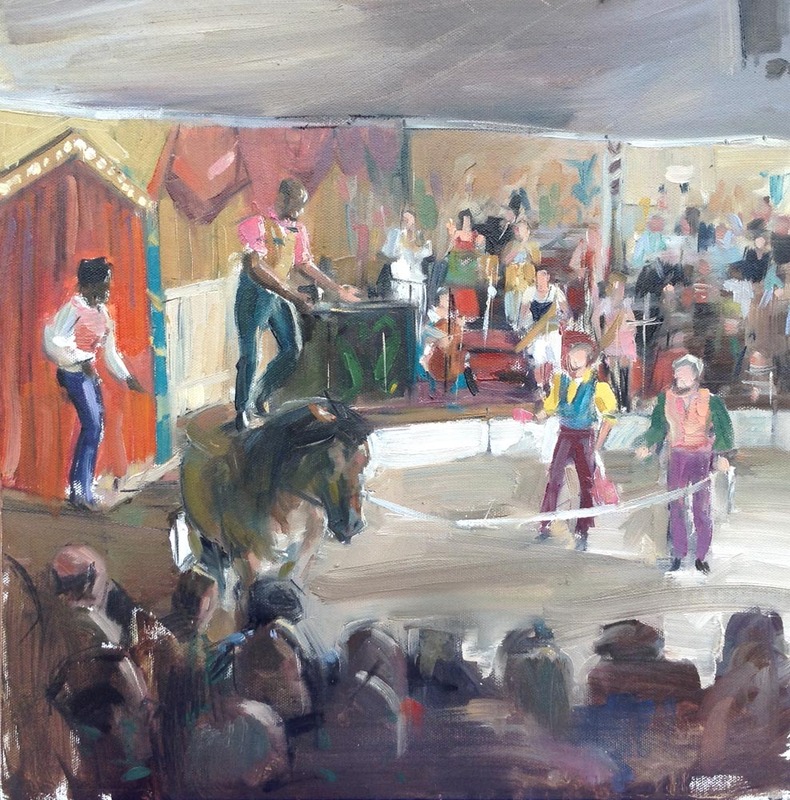 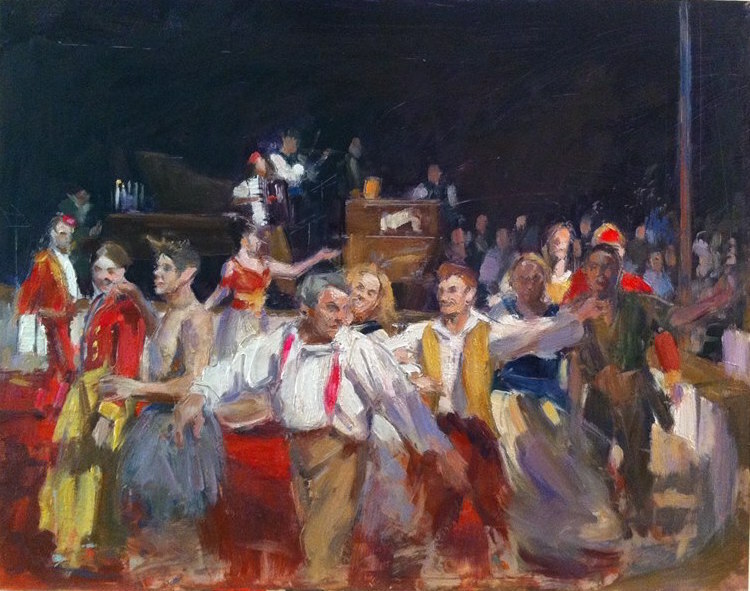 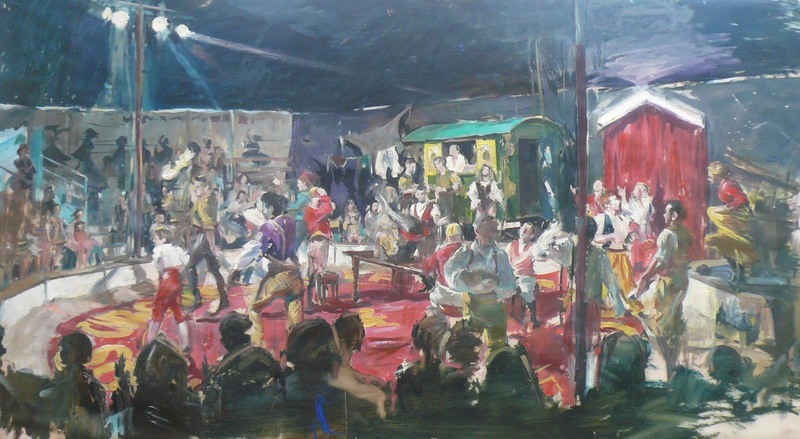 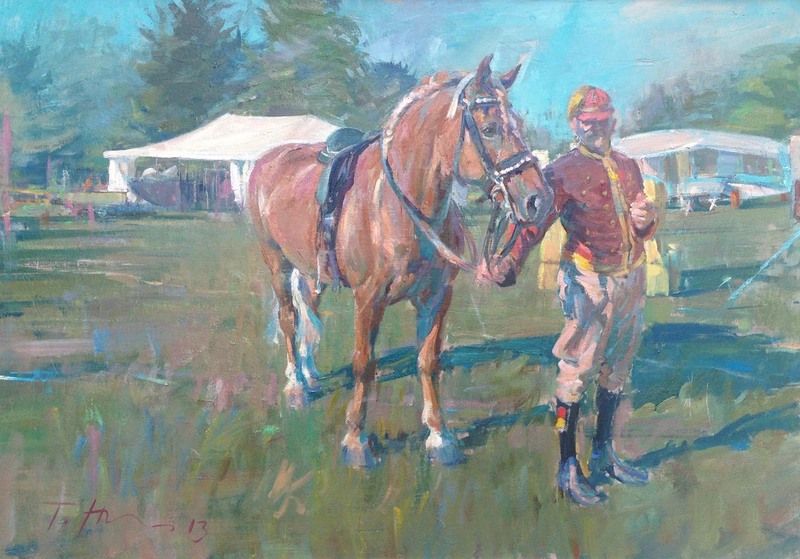 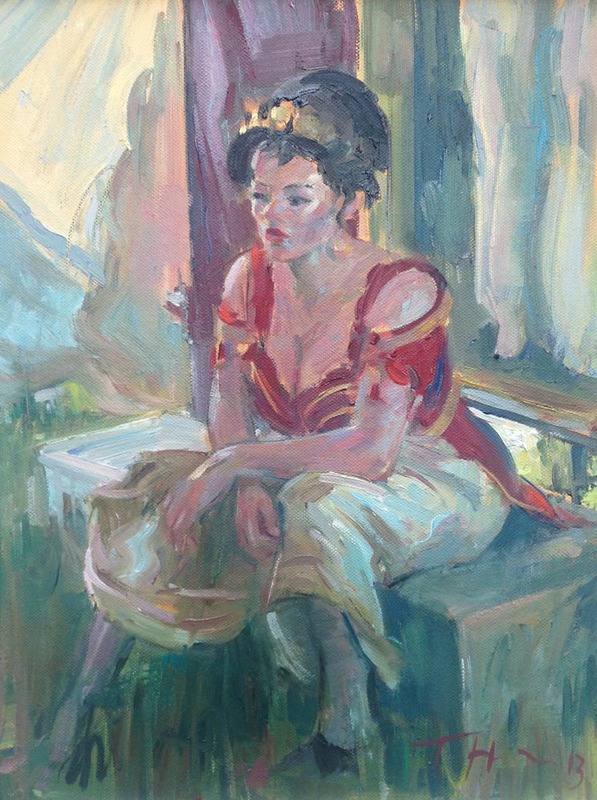 The exhibition was Tom's first solo show, a sell-out success and launched a new artistic chapter exploring the life and performance of the Circus and its gypsy heritage. 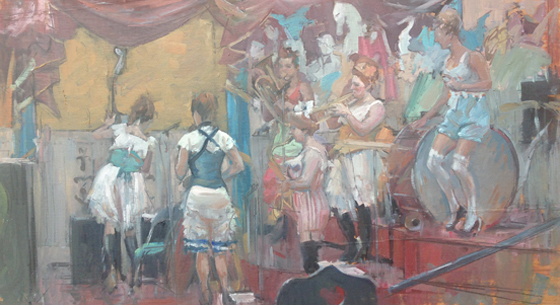 Spending time with Giffords Circus on their annual tour of the South West, the collection explored a way of life that is unchanged, a circus troupe travelling from place to place, offering a temporary escapism away from everyday life into a world of colour, music, mystery and entertainment. 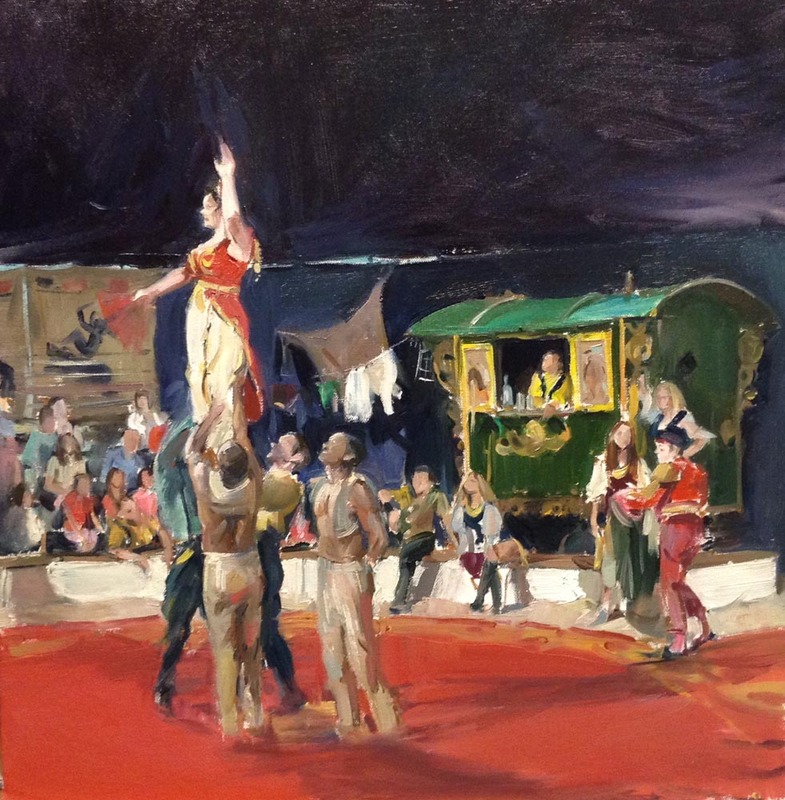 Much like the circus itself arriving in town, Tom Hoar’s Circus exhibition went on show at a pop-up gallery space in Central London, placing the collection in the context of an all encompassing celebration of the Circus.